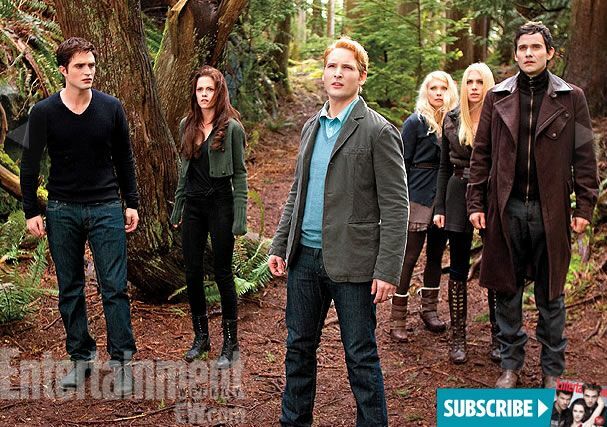 Four new images from The Twilight Saga: Breaking Dawn – Part 2 have gone online. 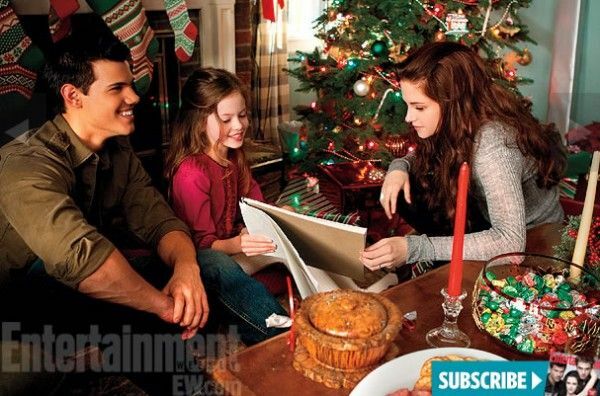 Like the majority of images we’ve seen from the upcoming film, these show Bella and her new family being happy as can be. At worst, the characters are looking at something disconcerting. Based on the images alone, it looks like the movie is shaping up to be an L.L. Bean catalog where strange things are happening off camera. Hit the jump to check out the images. 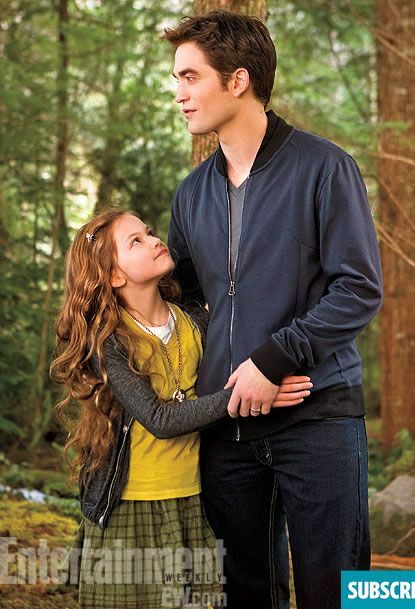 The film stars Kristen Stewart, Robert Pattinson, Mackenzie Foy, Taylor Lautner, Peter Facinelli, Ashley Greene, Elizabeth Reaser, Kellan Lutz, and Jackson Rathbone. The Twilight Saga: Breaking Dawn – Part 2 opens November 16th.